Here is a great way to stay up to date with Keeper Resource updates; sign up for an RSS feed. RSS stands for; Rich Site Summary – and will basically deliver new content that is submitted to this OBO Keepers Resources site directly to you. 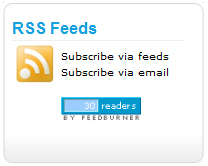 Subscribe via feeds – this will bring the information to your requested RSS reader. (Watch the youtube video below for more info). Subscribe via email – this will deliver an e-mail to your inbox every time there is a new article on Keepers Resources 2.0. Here is a good video that will help you understand if you require more information on RSS. How do i Change My Keepers Resources Password? Author knighttimesPosted on February 15, 2009 August 12, 2014 Categories *Welcome*Leave a comment on How do i Change My Keepers Resources Password? Please click the image below to view the flash presentation. Welcome to OBO Keepers Resources 2.0! 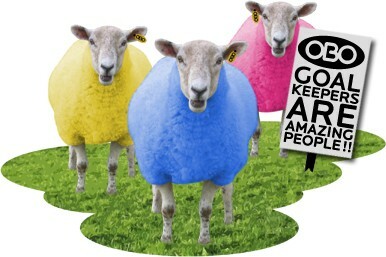 Thanks for joining us on the OBO Keepers Resources 2.0. We have worked hard to provide you with a new improved goalkeepers resource that will enable you to share what you find, contribute your knowledge and learn from other keepers all over the world on playing better and having more fun! How to add a new post/ article to this website. We are not big on rules around OBO, in fact we have broken a few in our time. But please; keep it positive never negative, keep it helpful never personal and always show respect. Author knighttimesPosted on February 9, 2009 August 12, 2014 Categories *Welcome*Tags keepers resources 2.0, welcome to KR2.01 Comment on Welcome to OBO Keepers Resources 2.0! While watching the 1992 Olympic hockey final held in Barcelona, Simon Barnett listened to his hockey-playing friends criticize the quality of the goal keeping equipment being used. From this, and the wish to defend his existing hockey importing business from competitors with access to foam kickers, he decided that there was an opportunity to enter the goal keeping market on a global scale, utilising modern product design and manufacturing approaches, and using unique and high quality New Zealand made closed cell foam. With a background in sports importing and distribution and a lecturer in marketing at Massey University, Barnett consulted with several experts, such as Hilton Munroe, the NZ Men’s goalkeeper on what it was that keepers were really after in their equipment. At that stage, the market was serviced only by firms such as Monarch, Grays and Coopers…. foreign businesses that focused primarily on ice hockey or cricket gear, who then transferred the technology to hockey equipment. The result was unsatisfactory and expensive gear, not at all suited to the game’s requirements. Barnett started Tomorrow Today NZ Ltd (which trades under the name of OBO Goal Keeping), sourcing raw material from Christchurch, which is then moulded to shape by a specialised contract manufacturer in Palmerston North. The protective gear including leg guards, kickers, chest pads, padded shorts, arm guards, gloves and helmets are made of a light but incredibly strong foam, allowing it to be moulded to fit the players’ requirements of durability and freedom of movement. Exports to Australia and Europe began in 1993, and within 12 months, OBO was exporting to the United States, Argentina, Japan and South Africa. By 1996 just four years after the company was founded the goalkeepers in the men’s and women’s gold medal winning teams at the Atlanta Olympics were wearing OBO pads. In 1998, the company won a TradeNZ award for reaching $1 million in export sales a figure that has undoubtedly grown due to the massive gain in market share made in the last two years. At the 2000 Sydney Olympics, over half of the goal keepers were using OBO equipment. Today, OBO exports 95% of its output to over 30 countries. Almost 60% of its sales are in Europe, and the company has over 55% market share, making it the world’s largest supplier of hockey goal keeping equipment. OBO has gained itself such a good reputation that an English company recently flattered it with its imitation ‘MOBO’ pads. And although the technology OBO uses is not patented (Barnett sees little point in paying for international patents without the deep pockets to defend them in court), the company is confident that its innovative and revolutionary designs give it as much of a competitive advantage over its rivals as the unique materials they use. OBO has always focused on foreign markets only 5% of its output is sold locally. Traditionally, the company’s main emphasis has been on a push marketing strategy, pushing the product through international wholesale and retail channels, and relying on well-informed and knowledge equipped sales people to persuade the customer. Since 1997 however, OBO has realized the benefits of employing pull-strategies. More focus has been placed on the image of the brand, so that customers want to pull the product through the channels. Barnett’s marketing background has been most useful in this endeavour. The main aspect of this has been sponsorship of prominent and promising players, which OBO used as a tool to help penetrate difficult markets. In the United Kingdom, for example, OBO was faring worse against its competitors than it was in other European markets. Keepers at national, provincial and school representative levels were sponsored in order to raise the profile of the brand. The extent of sponsorship arrangements, however, ‘got out of control.’ Barnett always regarded it as a method of marketing and defending market share and now considers its sponsored players as too big a focus of the firm. Although OBO has reached the forefront of the industry, experiencing an average annual growth rate of 30% over the last seven years, the company is more concerned with defending its market share than making it larger. Barnett says that lifestyle is a big consideration he is not ‘into being the richest guy on earth, just making sure that [he does] what [he does] well.’ The purpose built OBO factory employs less than 30 people, but manufactures 24 hours a day. The Internet however, is allowing OBO to reach new geographical markets. The company set up a web site in 1997, promising free world wide delivery of on-line orders. It also functions as an advice centre, with 30 sponsored players from around the world responding to visitor’s queries about the gear, and about playing tips. The Internet has enabled OBO to access a range of new markets, including Kenya, Hong Kong, Mexico, Gibraltar, Cyprus and Iceland. Sales taken through the web site in the first year of operation alone amounted to $80,000. With over 60% of the world’s hockey players living in Europe, it was always an important market for OBO to succeed in. Barnett cites two main reasons for the importance of Europe. Firstly, in order to have credibility and brand awareness in the wider international marketplace, OBO needed to have a strong presence and success in Europe, the traditional home of hockey. In particular, the Dutch, Germans and English have dominated the game for most of its history, sharing the limelight occasionally with teams from India and Pakistan (and even New Zealand, who won the gold medal at the 1976 Olympics). Secondly, the company faces high fixed costs in its manufacturing processes. In order to achieve economies of scale, the company needed access to a large market. Europe now accounts for almost 60% of the company’s sales. In 1993, Barnett considered a range of entry strategies for the European market. Overseas manufacturing was ruled out immediately. The savings of producing the gear in Europe and then distributing it around the continent, rather than exporting it from New Zealand, would only be 4%. Furthermore, the processes used are very specialized, requiring constant and close monitoring. In early 1993, OBO made initial agreements to enter a partnership with a German sporting company to supply the product, which would then be sold in Europe under the German company’s brand name. Within a few weeks of beginning formal arrangements however, Barnett received a facsimile from the German partner directing him to reduce his prices, provide longer credit periods, have large amounts of back-up stock available in Europe, and give away almost half of its sales in the first year to its partner, and in free products. Barnett, wishing to retain control over the marketing and production processes, quickly cancelled the agreement. Instead, he employed a New Zealander to manage a warehouse and office in the Netherlands. The finished products were transferred there, from where they were distributed throughout the continent. Barnett regarded this method as the ideal way of entering a market such as Europe. OBO’s representative was able to gain access to the numerous and complex distribution and retail networks, because of a ‘dedicated energy’ to the brand. The exclusive nature of this representation of OBO and the numerous contacts made enabled the representative to educate and motivate retailers to sell the brand the major aspect of OBO’s push strategy. OBO continues to innovate and update its products on a regular basis… indeed annual spending on Research and Development is approximately 5% of turnover.